All merchandise is Union Made. Proceeds go directly to Bread and Roses to help support the Workers’ Center. All orders must be pre-paid by money order or check (use shopping cart to calculate shipping; you won’t have to complete the transaction) and send to: Address provided upon request. Click on the Add to Cart buttons to use the PayPal shopping cart. Shipping will be added in the shopping cart. Discounts available on quantity orders of 10 or more. Ask about discounts here. Note: In view of the fact that 2015 is the 100th anniversary of Joe Hill’s execution and that memorial events will be taking place all around the country and the world, it’s worth noting the connections that Slaughter in Serene makes between Joe Hill and the historic Colorado coal strikes. Further, a portion of Hill’s ashes were scattered at a 1989 ceremony which unveiled a monument to six unarmed IWW Columbine strikers, buried in Lafayette, Colorado. The state of Colorado deployed machine guns, bomber aircraft, and cannons to control the miners. Their message: we have the authority and the power; you, the out-of-control workers, must submit. But the workers were not just any workers. These were miners, men who descended on a rickety cage into the dark maw of hell every workday of their lives. They worked with blasting powder; they fought with coal car mules. They waded through black water floods; they chiseled a living from the depths. How can you intimidate a man who faces death daily? But the strikers had another surprise, another front that would not be intimidated. The women of the 1920s coal camps became the miners’ most valuable allies. Slaughter in Serene: the Columbine Coal Strike Reader uncovers a history that had nearly been forgotten. It is a history of triumph and tragedy, of working class dreams and rapacious corporate greed. Eric Margolis, Joanna Sampson, Phil Goodstein, and Richard Myers present a compelling history of the 1927 coal strike led by the Industrial Workers of the World. This was the last strike that Colorado coal miners fought without a recognized union. This was the last strike in which a state militia played their dubious role. It was one of a number of strikes in which miners and their families confronted violence perpetrated by the power of the state, but this time the fightback was not without substantial progress in no small way due to the participation of the IWW. Slaughter in Serene: The Columbine Coal Strike Reader $19.05 ea. I.W.W. Songs – 35th Edition (1984) words and music $5.00 ea. I.W.W. 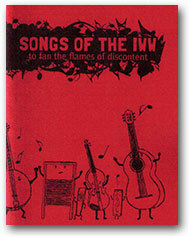 Songs – 38th Edition (2010) words and chords $8.00 ea. 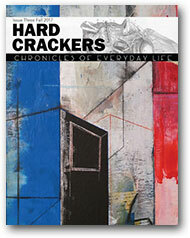 Hard Crackers: A Chronicle of Everyday Life $6.00 ea. 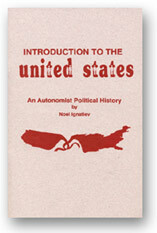 Introduction to the United States: An autonomist political history by Noel Ignatiev $4.00 ea. 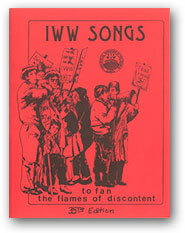 Official IWW calendar $10.00 ea. 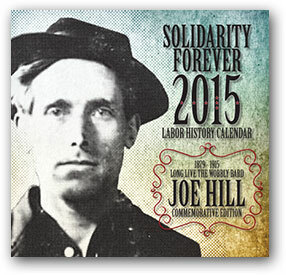 This is a special edition that commemorates the 100th anniversary of the execution of Joe Hill. Size is 11.5 x 12" folded (larger than usual 8.5 x 11").